My 2012 "California (stay-cation) Adventure" kicked off in Northern California with a trip to San Francisco (click here for that part) and concluded in sunny Southern California with a fun visit to Santa Monica. Santa Monica is a vibrant beach city just miles outside of the hubbub of Los Angeles. It's a "don't miss" destination if you are in Southern California. I wore my pink camo EzyDog harness while treking around to make sure I looked uber stylish, incase the puperazzi were out. 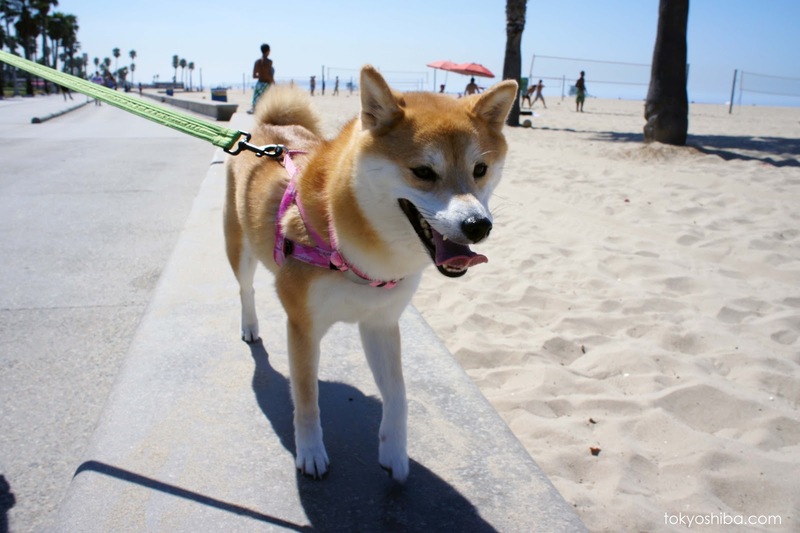 ﻿﻿﻿﻿﻿﻿﻿﻿While the sandy beach area is not dog friendly in Santa Monica, don't be discouraged. There is still plenty to do and explore. 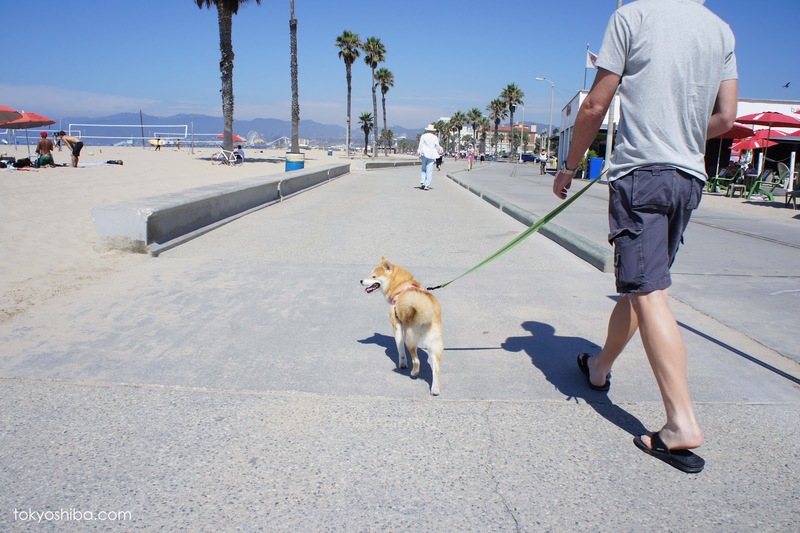 Leashed dogs are allowed on the Santa Monica Pier and surrounding boardwalks. And the nice part is that you won't get scared or run over by bicycles while you're out exploring, because they have separate designated lanes for walking and biking. Pawsome! 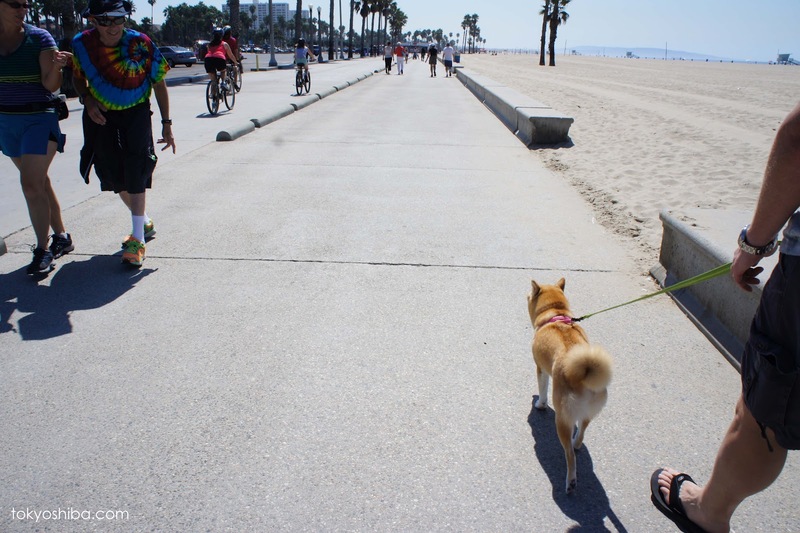 You'll also find ample grassy areas adjacent to the beach and plenty of pet friendly hotels, like Shutters on the Beach in the area. While I haven't stayed at Shutters for a personal review, be sure to let me know what you think if you have! You can get more information about pet friendly things to do in Santa Monica through this link. Hey, look over there! 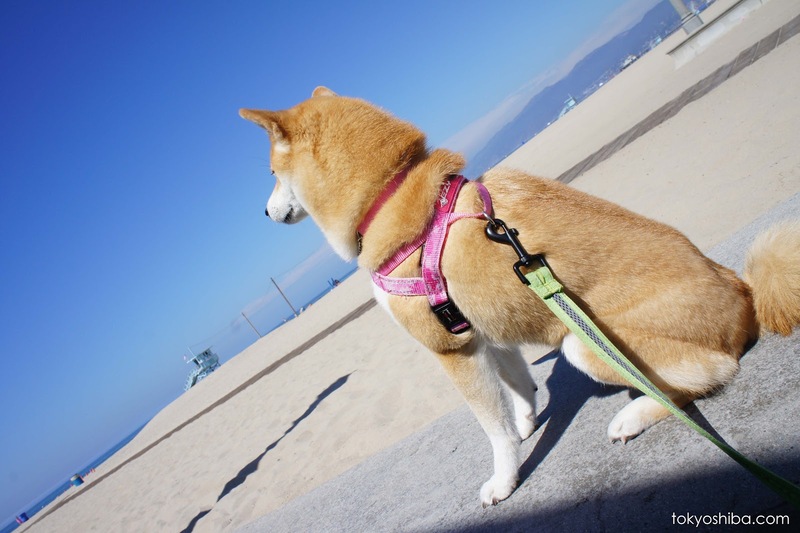 Isn't that Tokyo shiba walking by? 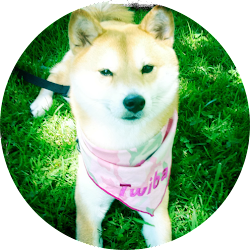 Hi – Will you please post a link to your Blog at The Shiba Inu Community at vorts.com? Our members will love it. 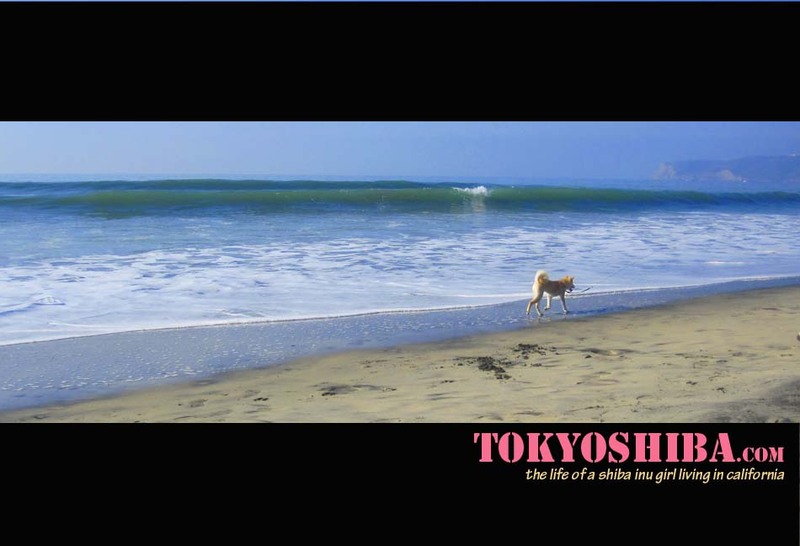 Members include: Shiba Owners, Breeders, Rescues and Lovers. You can also add Photos, Videos, Rescues and Classifieds if you like. Post as much or as often as you like.